A new free download is available through our Deals store, an app called TowerMadness. For fans of tower defense titles, who also enjoy a bit of 3D graphics, it’s a must have. 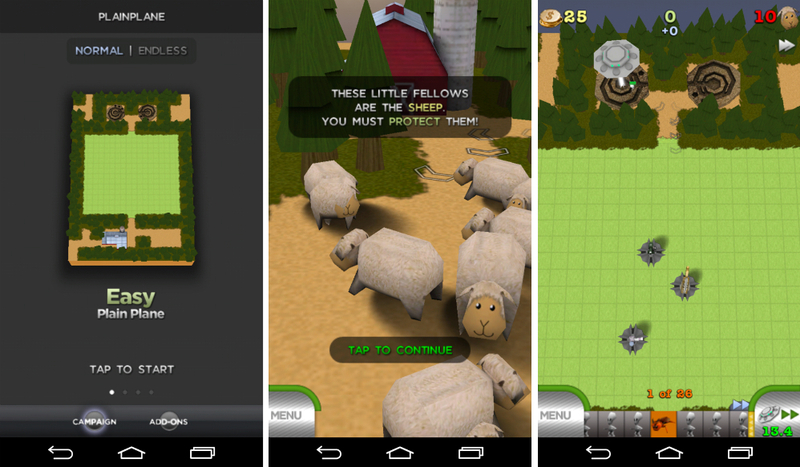 In the game, you build up your defenses to stop evil aliens from kidnapping your adorable 3D sheep. You have blasters, flamethrowers, and plenty of other weapons to help you stop the never ending horde of aliens. To download, all you need to do is login to the Deals store (email or Facebook account), claim the freebie, share the deal through one of your social network sites (you can share privately if you want), then simply download to your Android device.